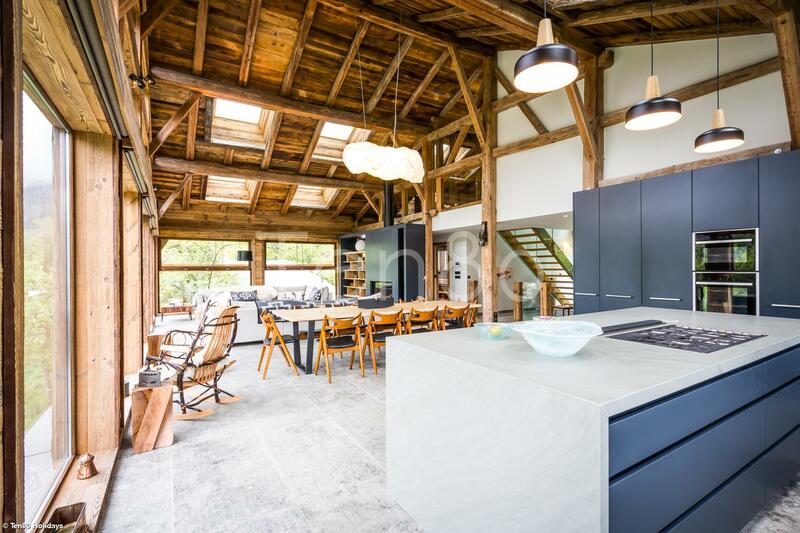 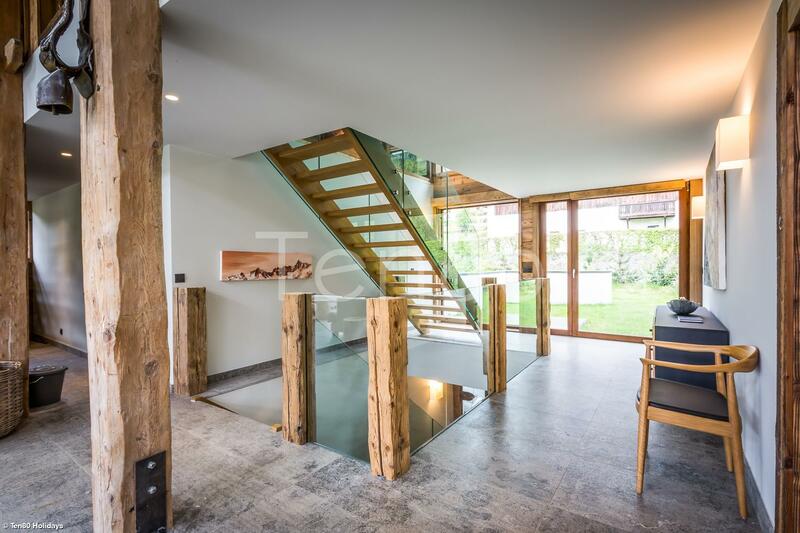 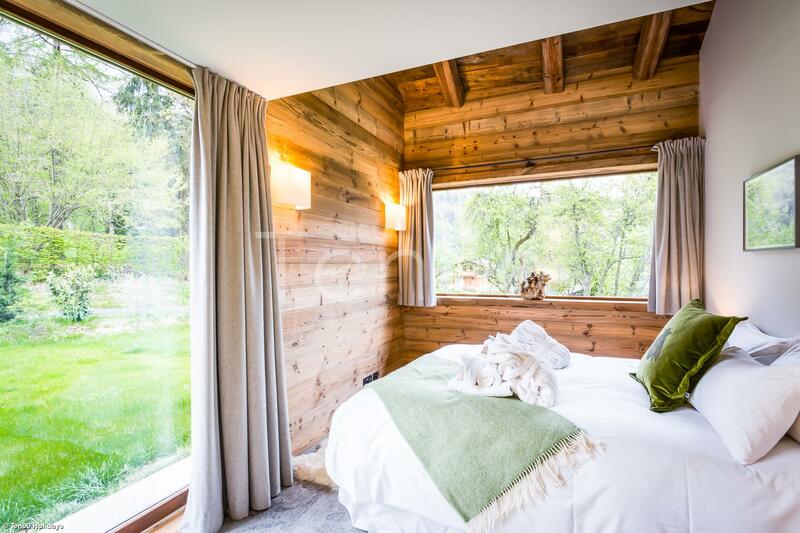 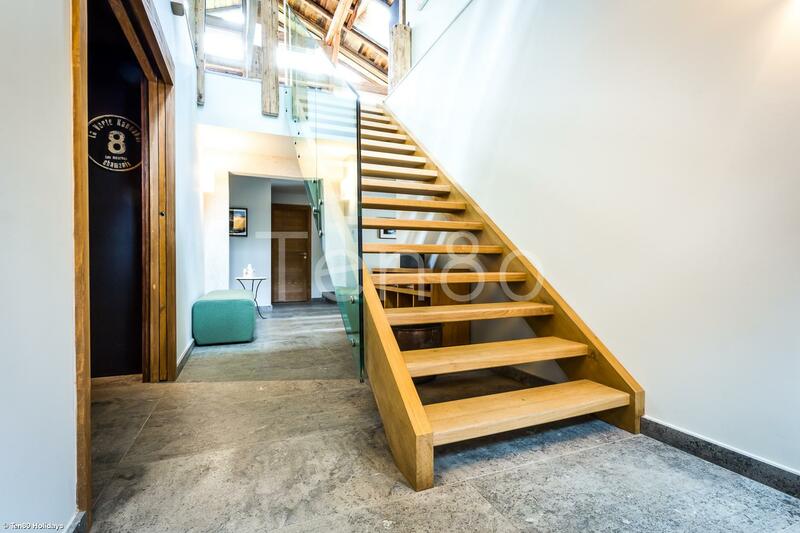 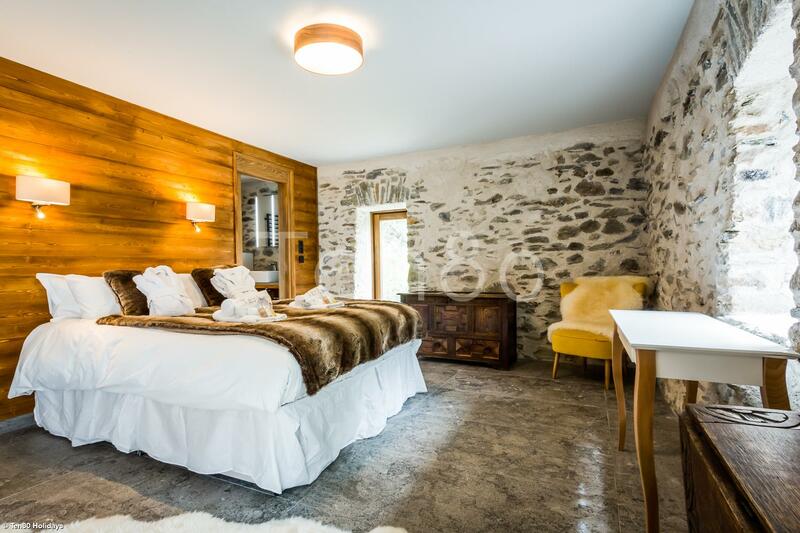 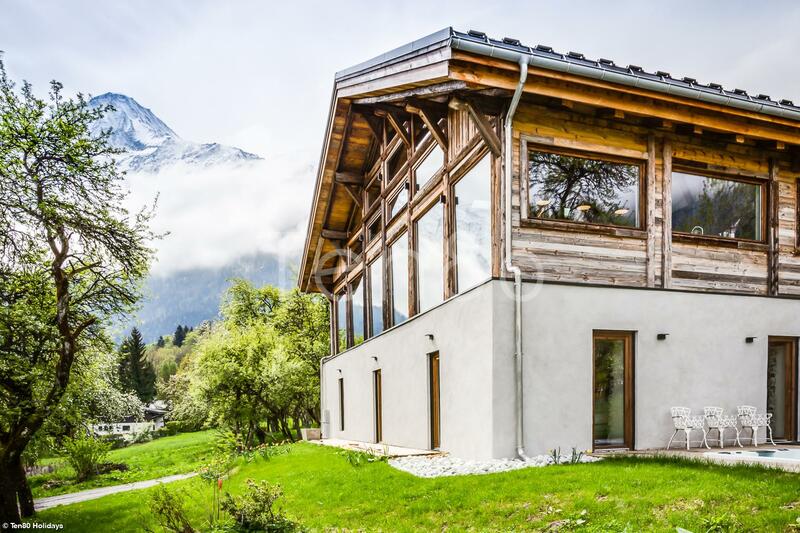 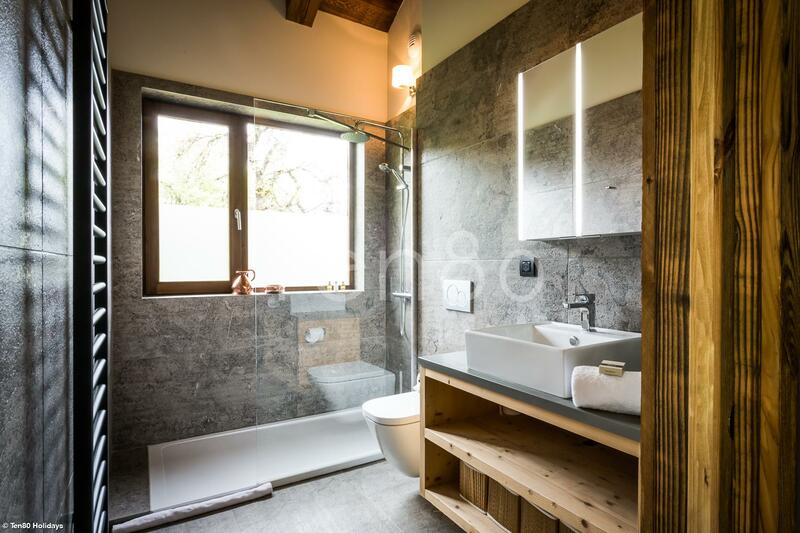 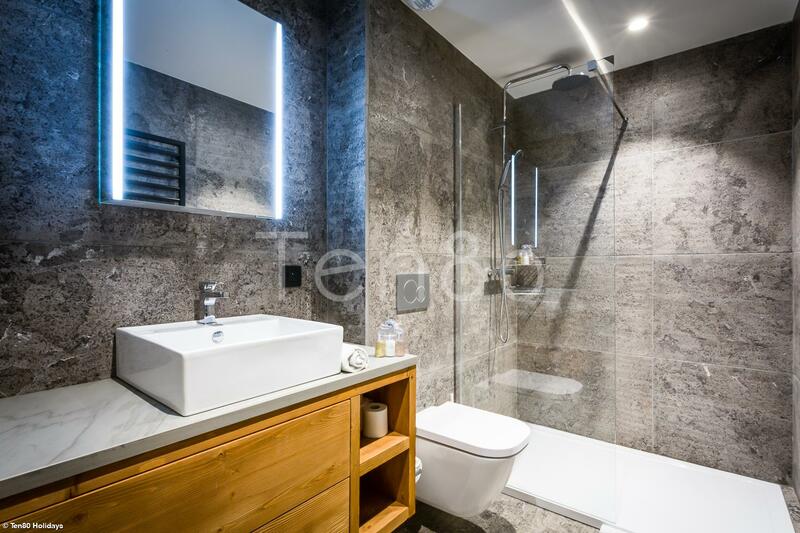 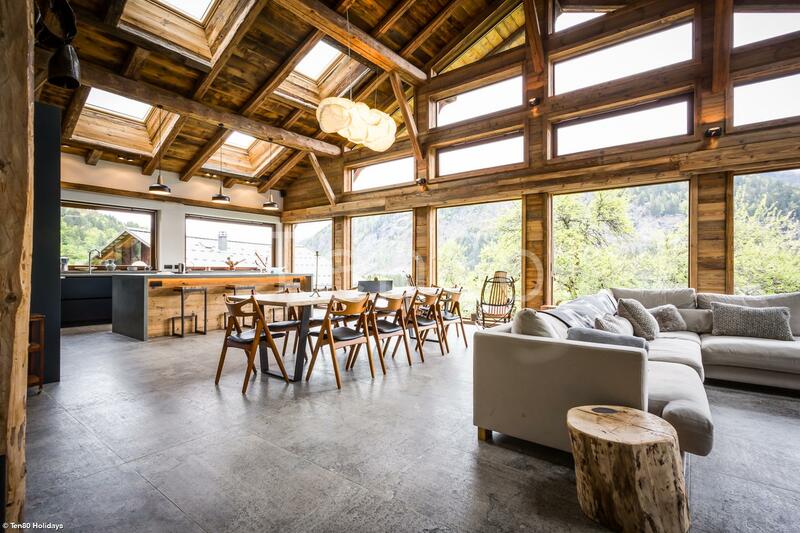 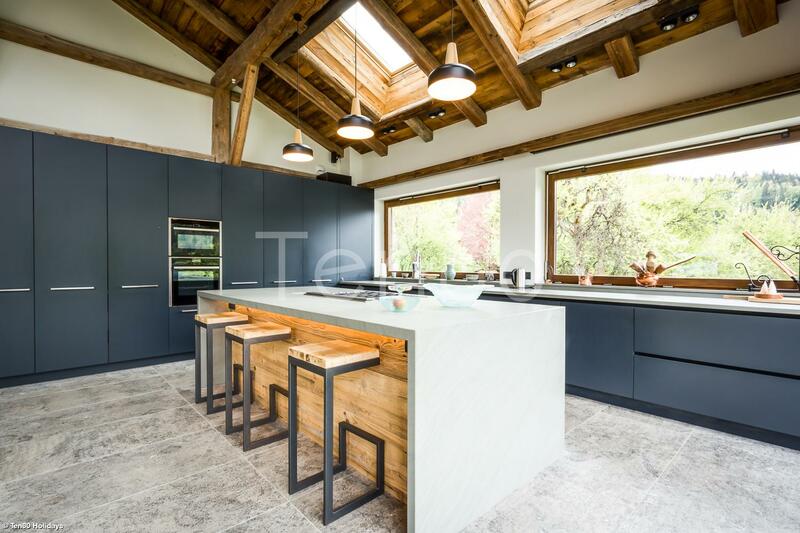 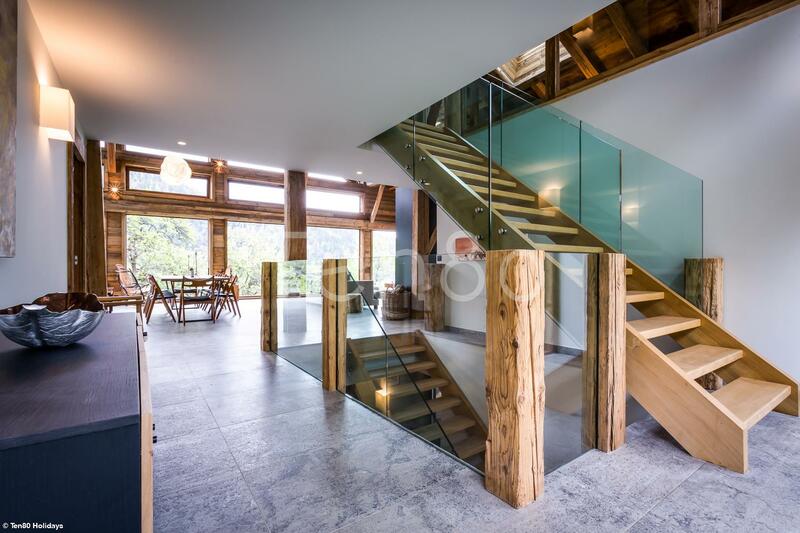 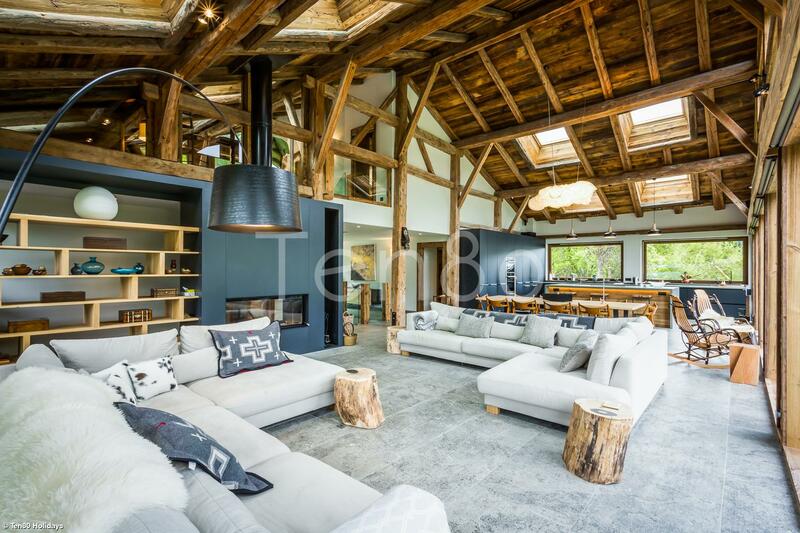 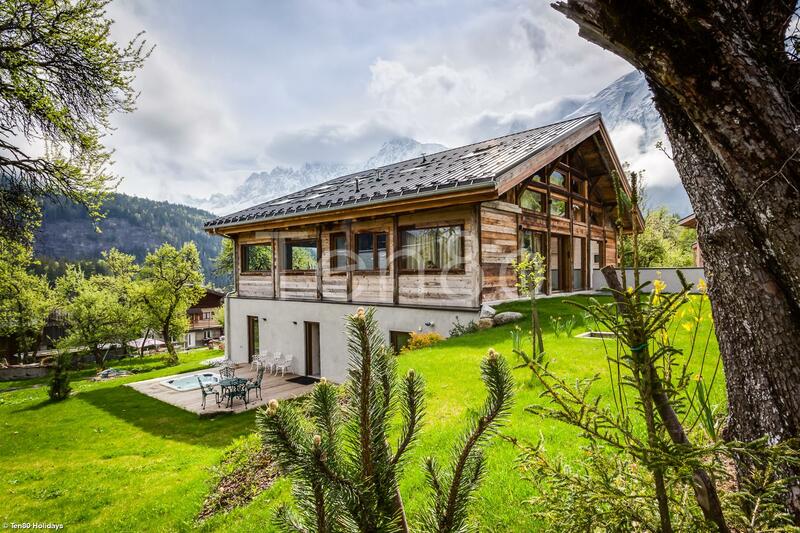 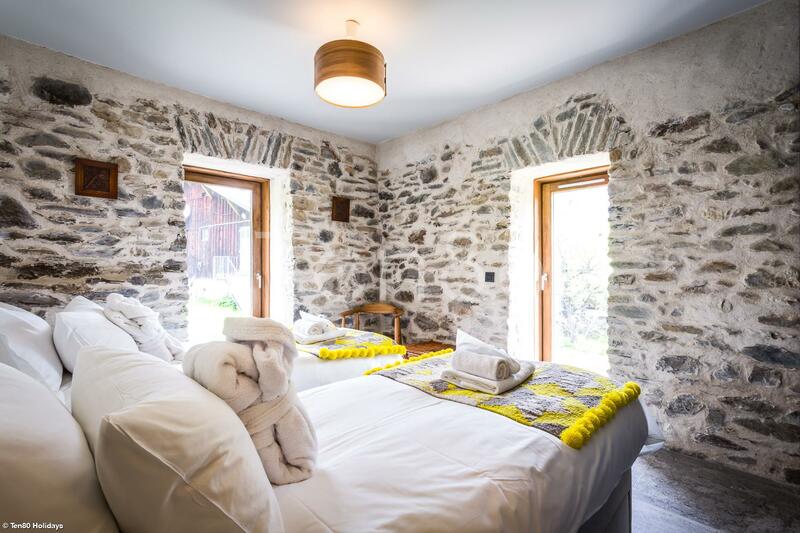 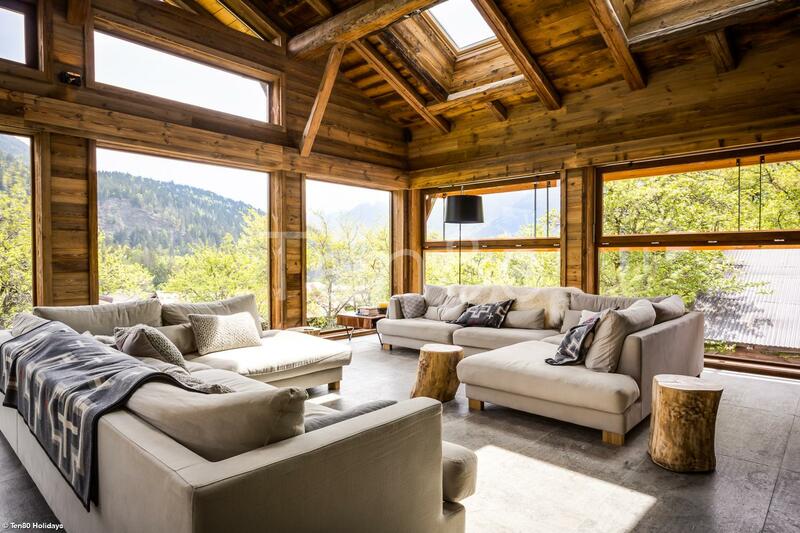 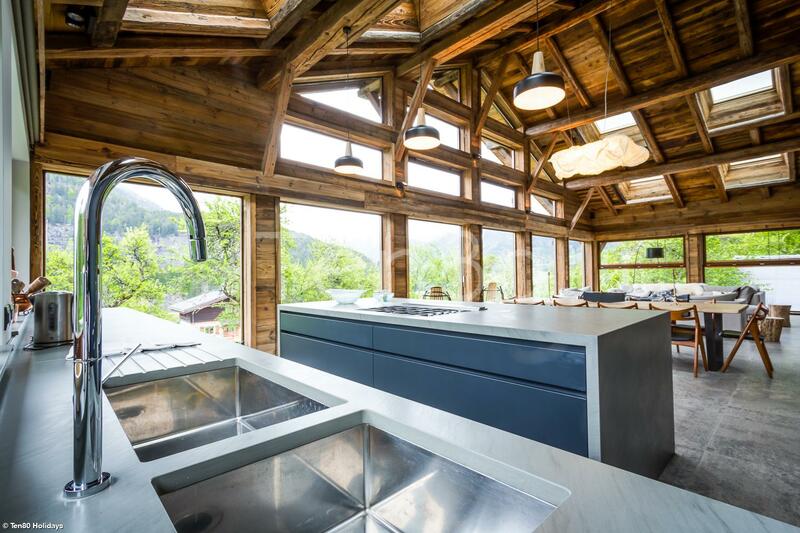 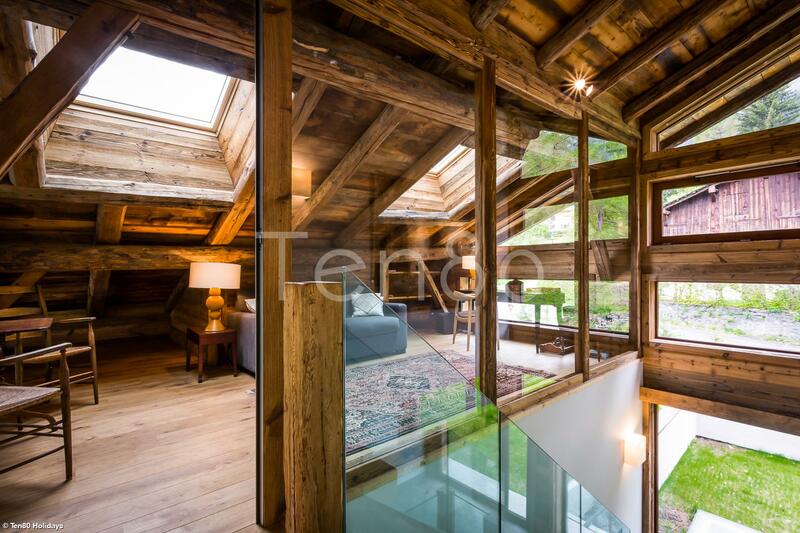 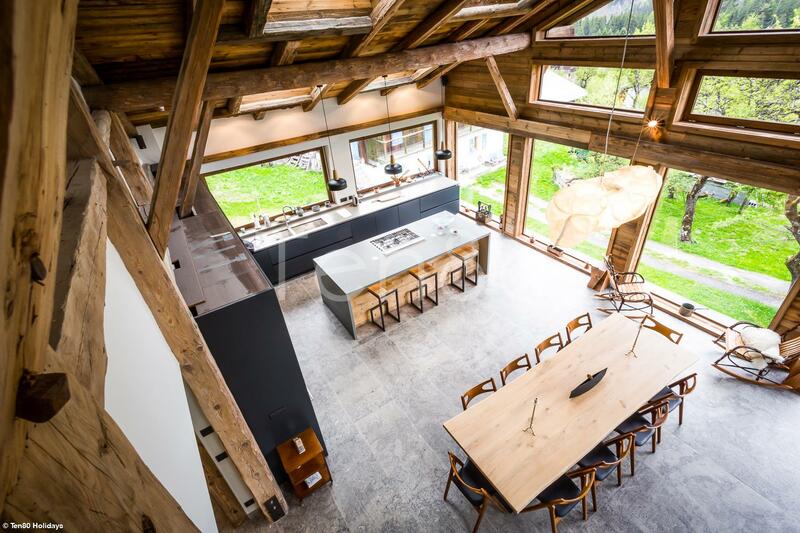 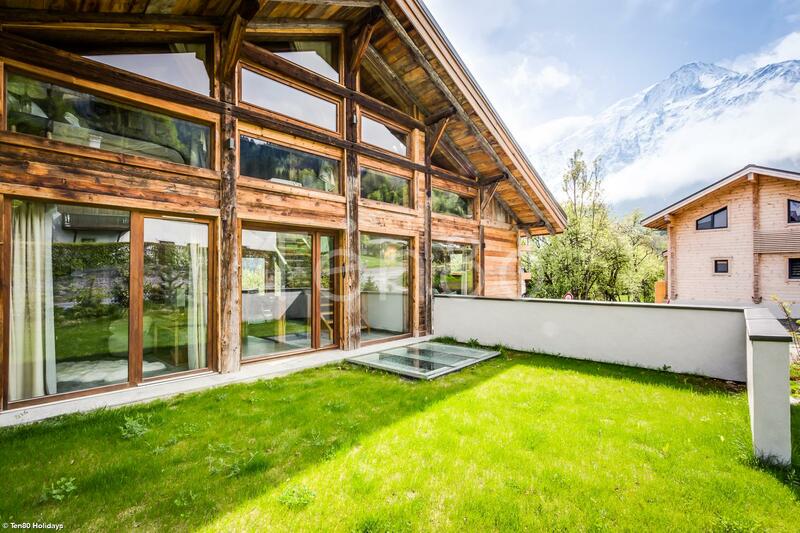 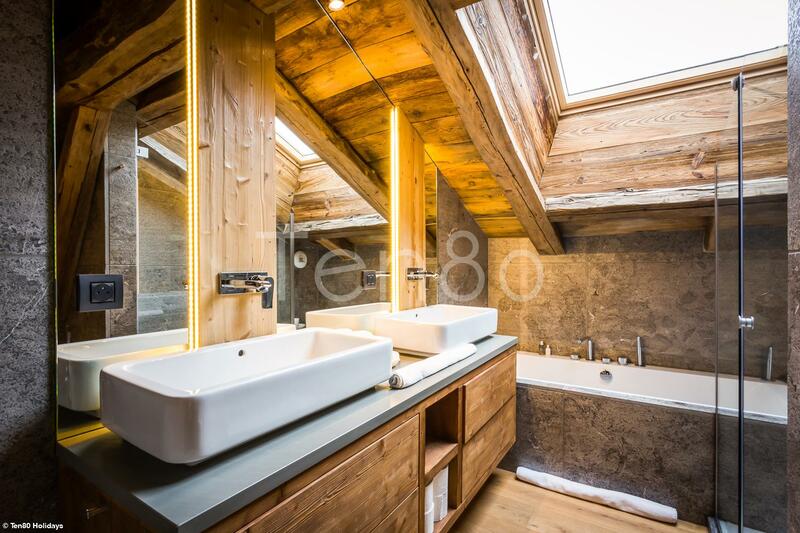 This chalet is simply stunning, a 2 year labour of love to convert this old farmhouse into a modern and elegant masterpiece with every modern comfort included. 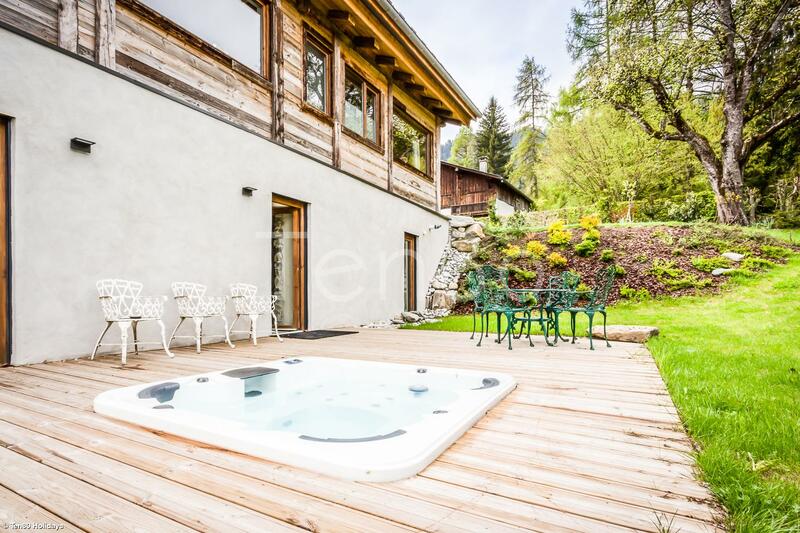 Perfectly situated on a very quiet road and only a 5 min walk to the slopes and ski school of Les Houches. 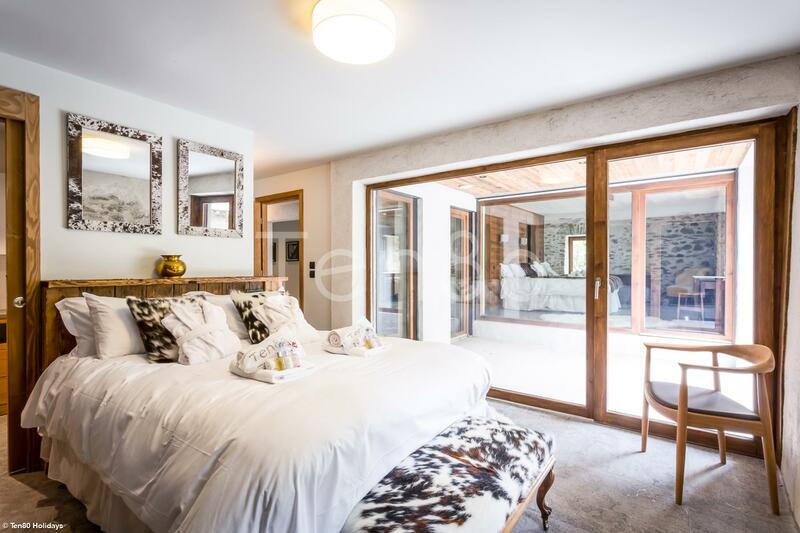 The 6 bedrooms are all en suite, wonderfully comfortable and with the detail of either old beams or the original stonework of the farm showing add a touch of class and originality rarely seen. 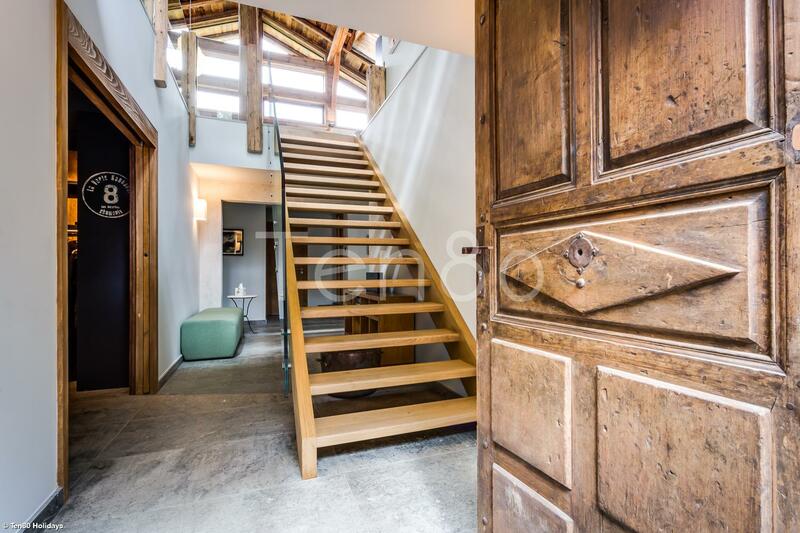 The entrance, the staircase, the detail is all gorgeous but as you come up the steps and enter the vast main living area... 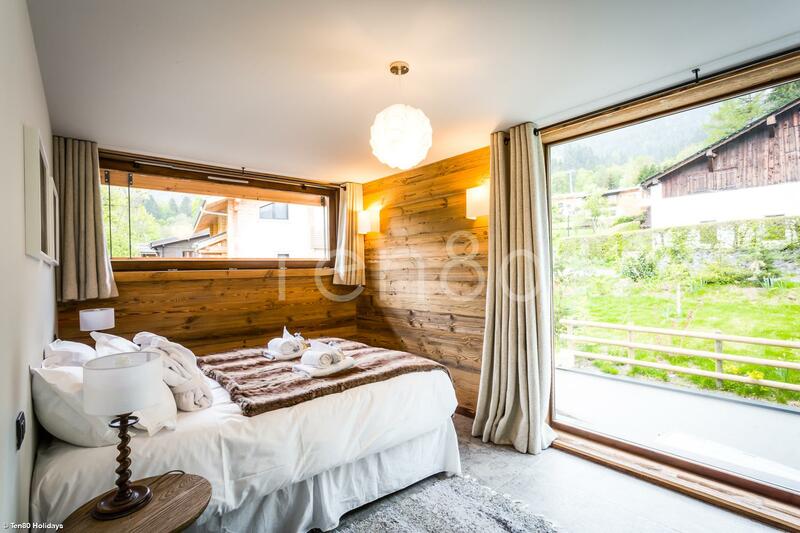 The whole wall is glassed offering stunning views up the valley - just outstanding. 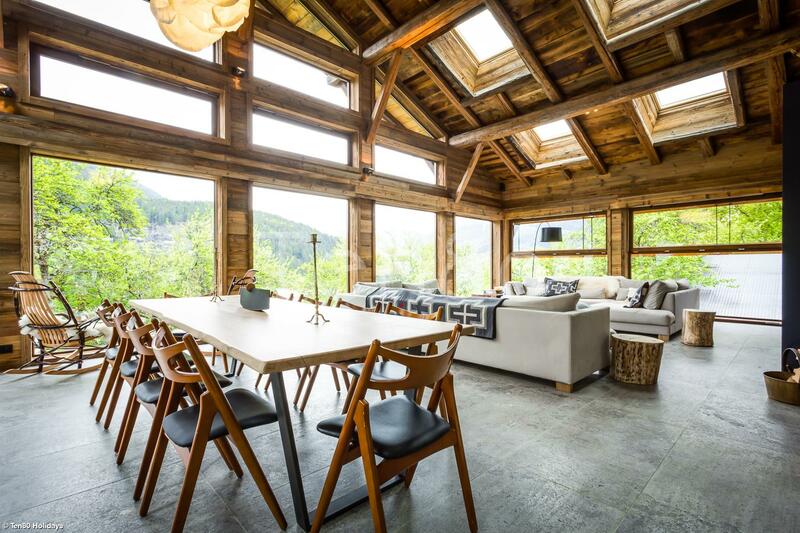 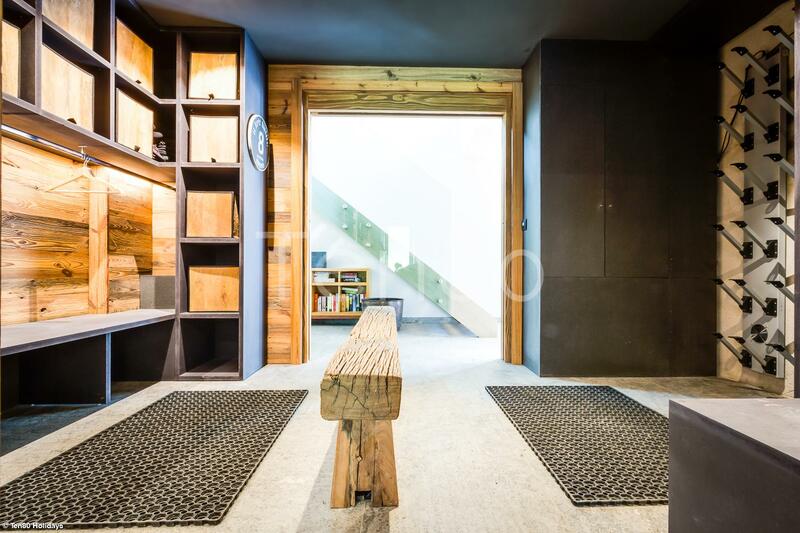 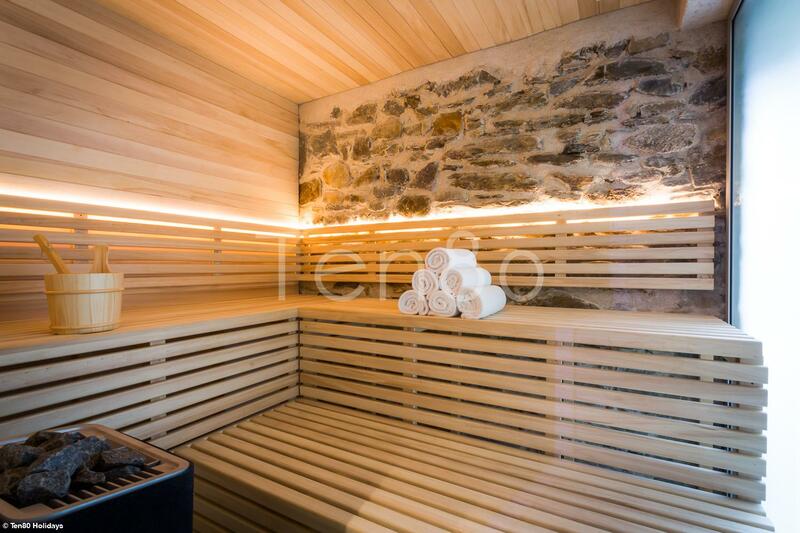 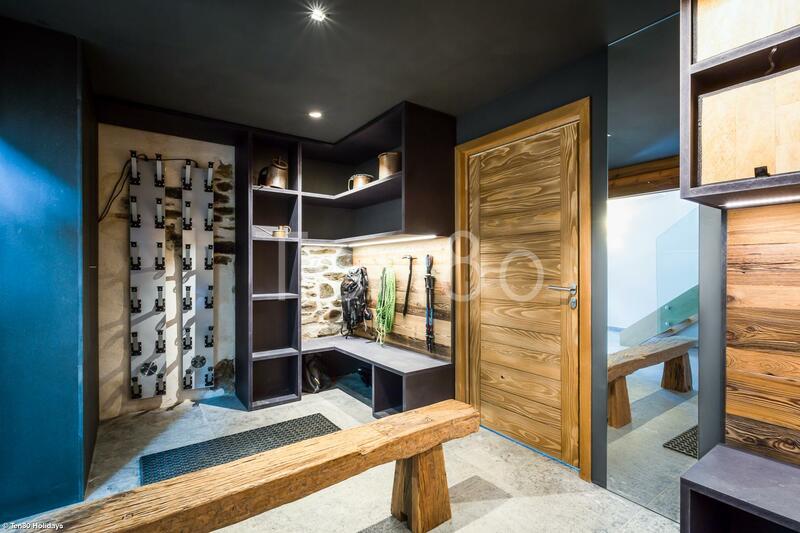 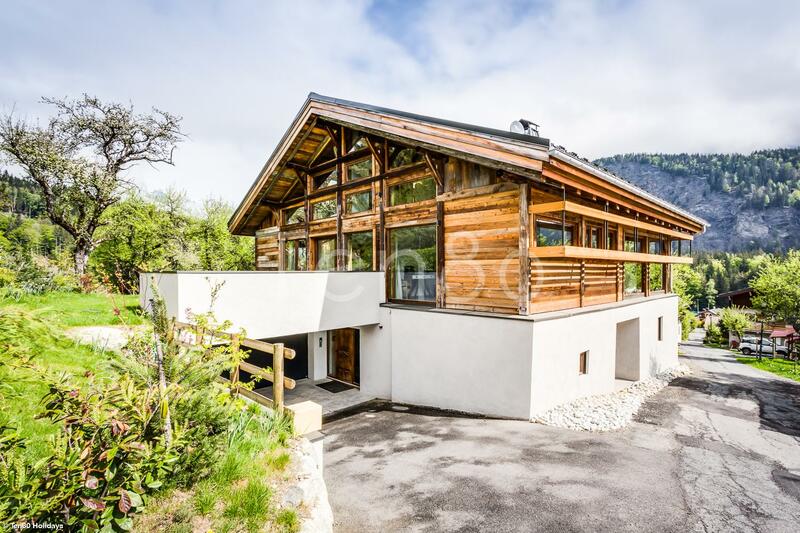 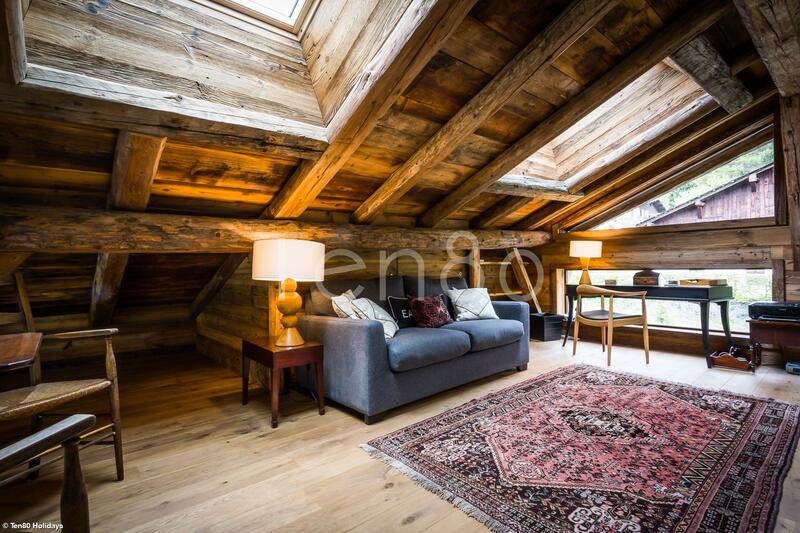 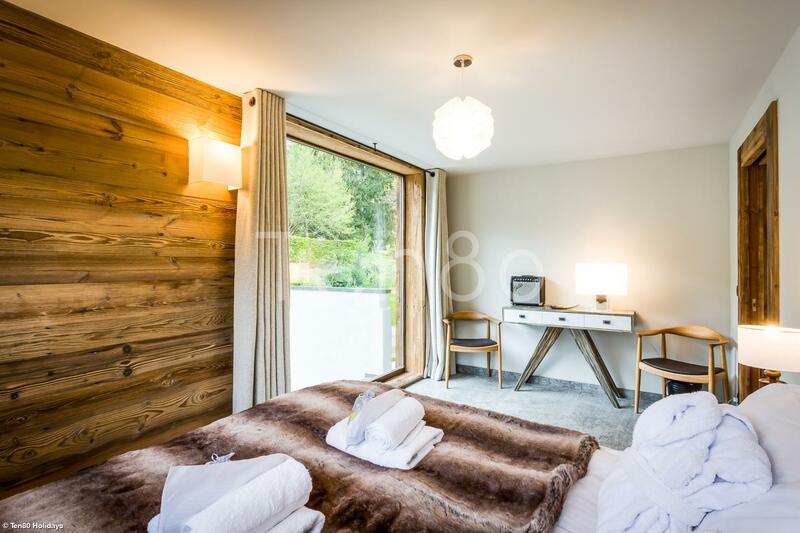 A covered parking,boot and ski room, cinema room and chill out reading room/office, superb sauna and outside sunken Jacuzzi complete this magnificent chalet. 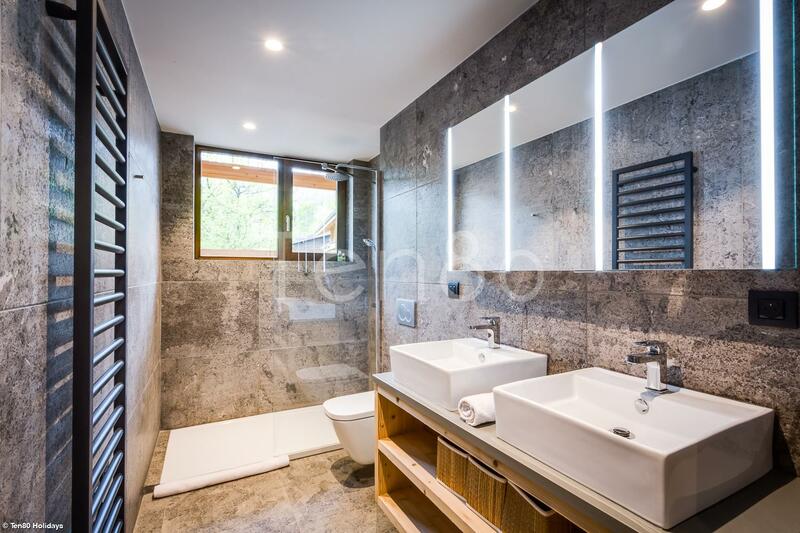 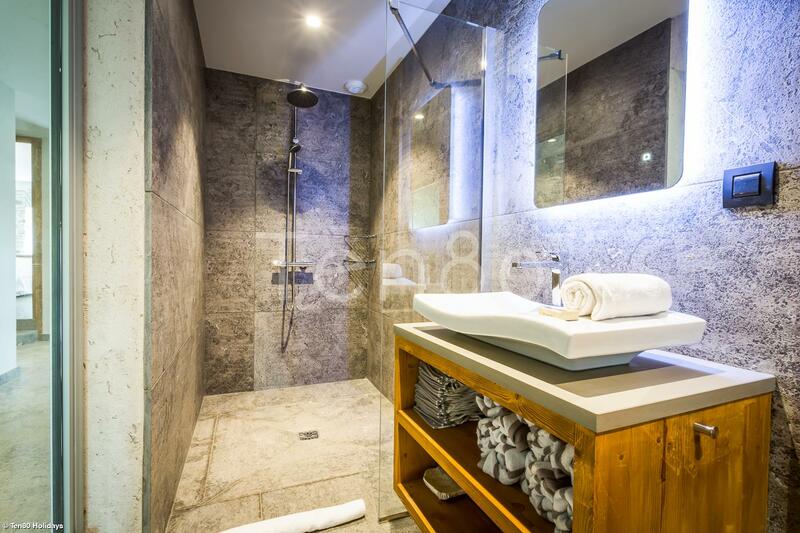 covered parking, entry, boot/skiroom, laundry, TV room, sauna with shower room, 2 double ensuite bedrooms and a twin ensuite bedroom, terrace with jacuzzi. 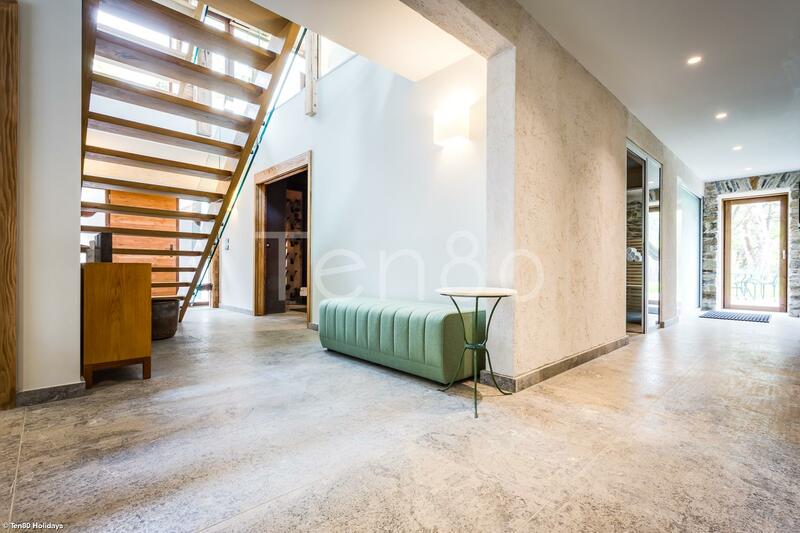 kitchen- dining area, living room with beautiful fire place (double firebox), 2 double bedrooms ensuite. 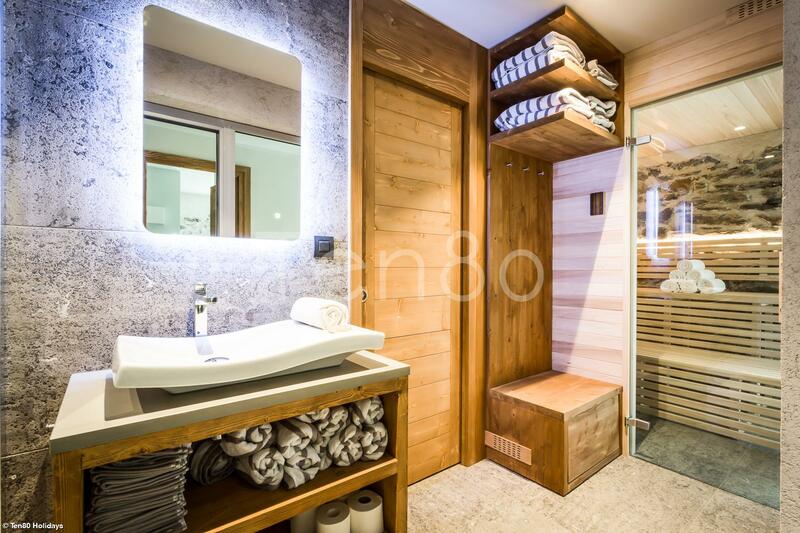 reading room/office, master bedroom ensuite. 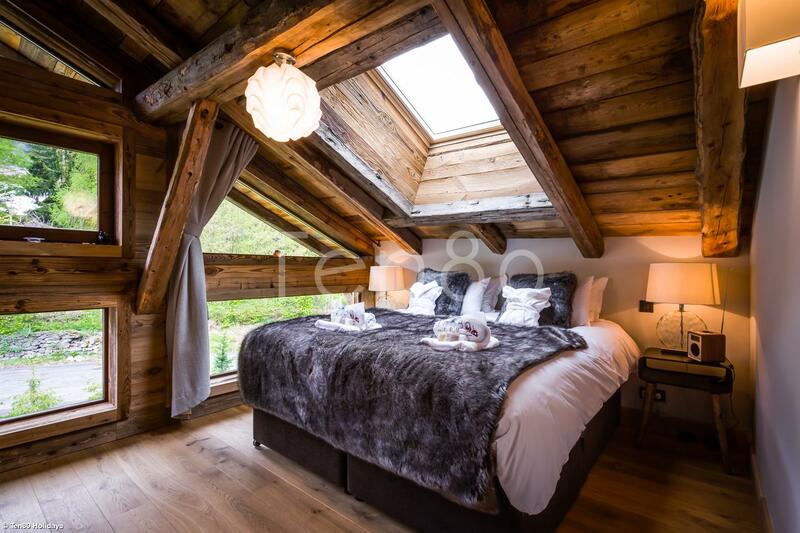 Located on a very quiet street 5 mins walk in apres ski shoes or 1 min drive to the main lift (Prarion) of Les Houches (where we have ski and boot lockers available) with ski school, childrens garderie rental shops and bakery and bus stop all there as well.15 minutes drive to chamonix.